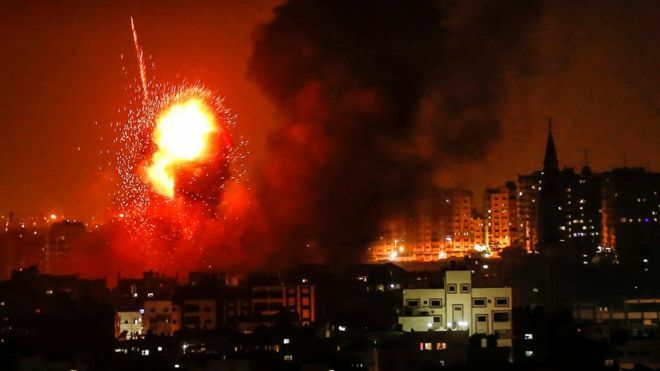 According to officials, at least 3 Palestinians have been killed in Gaza as a result of Israeli air strikes in response to a barrage of rocket fired by militants. A pregnant woman and her 18-month-old child were killed during the air strike, Gaza health officials claimed. Nearly 7 civilians were injured by rocket fire in southern Israel. Israeli launched more than 140 attacks after about 150 rockets were fired from the coastal enclave. This is the 3rd serious conflict in the past month. The attacks come as the UN and Egypt try to secure a deal between Israel and Hamas for a lasting truce. Israel’s military warned Hamas against a further escalation in violence on Thursday. Also, Israeli media said officials were considering evacuating residents from areas near the Gaza border. Border Security is one of the most important questions for every country. Officials try to provide safety to people using different security methods in all possible levels. But, unfortunately, conflicts in border areas happen often all over the world. For Israel as a nation, it has all the right to protect the integrity of its border, and that right is supplemented by an inherent right of self-defense in the face of a hostile foreign power. Hamas — which rules Gaza — rejects Israel’s right to exist and remains in a state of perpetual, declared war with Israel. Any reasonable person contemplating the consequences of a border-wall breach knows that chaos and bloodshed may result. The ongoing issue of Border Security and the legitimacy of the use of violence to protect borders of a sovereign nation are nothing new on a global scale today. Brainwave Science iCognative is designed to offer a powerful specific screening solution for the detection of concealed information of suspected individuals. Specific screening tests conducted using iCognative are uniquely suited for agencies looking to enhance existing intelligence collection operations. The solution offers an advanced, knowledge- based method of criminal identification, best caters to agencies that have a desire to maximize intelligence capabilities. The main task for Border Security is to quickly, accurately, objectively, and cost-effectively corroborate testimonies of suspected individuals. Border security personnel can overcome a lot of problems and difficulties with the help of advanced technologies. iCognative measures brainwave patterns called the P300/P300 MERMER to detect whether information under test is present or absent in a suspect’s brain. This brain response is a thoroughly researched neurological event that has been well documented over more than 25 years in scientific literature. The ability to conduct relevant and timely collection of intelligence is key to deterring criminal activities. The unique intelligence discipline that iCognative offers can help reveal hidden links and connections, which no other technology can provide. This high-value security solution empowers investigators in identifying which person is dangerous and to what degree. In this case, iCognative can help to provide higher security on the borders between Israel and Gaza and prevent new conflicts between parties. In order to conduct a iCognative test, a test case needs to be built. This information, used as stimuli in the form of words, phrases or pictures, depending on its availability, will be input in to the system. These stimuli will be flashed to the suspect on a monitor while collecting brain responses to each stimulus. These responses are analyzed at end of the test by a unique algorithm and determine with 99.9% accuracy if the information under question is present or absent in the brain of the suspect. In the given case of Israel’s Border Security, we can use: dates and times of attacks, names and pictures of known members of illegal organizations, images of the sites in Gaza, key Hamas members suspected of these attacks etc. can be used as stimuli in by investigators. At the end of the test fully automated system will determine with 99.9% accuracy if the hidden information is stored in the suspect’s brain. With the help of iCognative provided only by Brainwave Science hopefully the endless conflict at the borders of Israel can be finally stopped and people will find confidence and peace.